The Instruments for Low Income Students program provides instruments on loan to low income students at Alice Robertson Junior High and Muskogee High School. This eliminates financial barriers to music participation for these students, allowing them to excel musically and reap all the benefits of music instruction. Funds are used to purchase instruments and fund maintenance and repair of the instrument collection. The program has been an incredible success. We estimate that at last 20 students who are likely to become outstanding musicians would never have entered the band program in Muskogee without the instruments provided by the City of Muskogee Foundation. 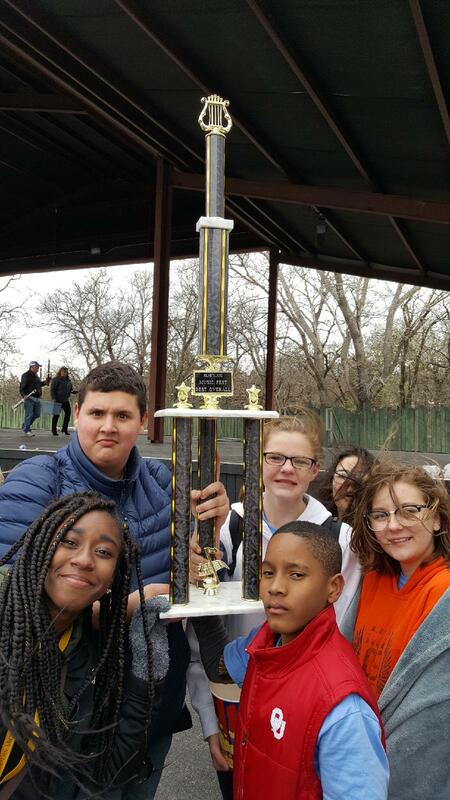 The seventh grade band received the outstanding middle school band award in their category at the Heartland Band Festival in Guthrie on April 14, 2018. At the time, these students had only been playing their instruments for about eight months. Approximately 30% of these students were using instruments on loan from the Muskogee Alumni/Community Band. This is a testament to the success of our program thanks to the support of the City of Muskogee Foundation.